It’s that time again! A new release for me means a giveaway for you! PUZZLE HOUSE will be released today–October 6! To celebrate the release of PUZZLE HOUSE, I’m giving away a virtual basket of goodies! ONE lucky winner will win a $25 Amazon Gift Card plus their choice of one of my books (not Puzzle House) and an e-copy of Devotions from Puzzle House, the devotional companion book to Puzzle House. FIVE more lucky winners will receive their choice of one of my books (Not Puzzle House) and an e-copy of Devotions from Puzzle House. 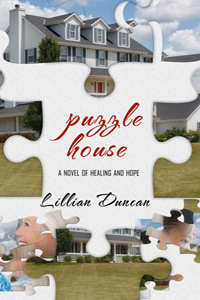 FIVE more lucky winners will receive an e-copy of Devotions from Puzzle House. That’s ELEVEN winners in all! To enter, simply leave a comment on any of the posts that have PUZZLE HOUSE in the title, including today’s post. The last day to enter the contest will be NOVEMBER 9! Your book sounds like one I woukd enjoy reading. I’m fascinated by the premise of the book. Sounds like a great read. Thanks for the giveaway. This sounds like a great book! Can’t wait to read it! 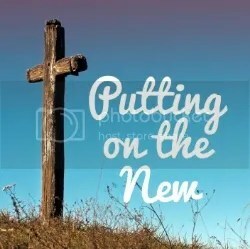 I am on a life-long spiritual journey myself and read my daily devotional to learn more about my personal relationship with God. This book sounds so necessary not to mention emotional, for anyone searching for more in life. Sounds like an awesome read! I love the concept of using puzzles I’m excited for the chance to win it and read it. However if I don’t win it I’m still going to read it. The more I read about and learn about Puzzle House the more intrigued I am and anxious to read it. Thanks! The more I read about and learn about Puzzle House the more intrigued and anxious I am to read it. This book sounds very interesting to me as I have a niece-in-law who has NF, her dad had it and her 2 year old daughter has it. Thank you for writing this, it is a disease that most people have not heard of, I had not before we welcomed our niece into our family. Thanks Wendy. I certainly hadn’t ever heard of it before I was diagnosed with it. So glad PUZZLE HOUSE is out! This sounds like a book I would really enjoy reading! Awesome giveaways too! Thanks for the opportunity! Puzzle House sounds interesting, especially with the accompanying devotion. This is all marvellous thank you. Puzzles are so much fun, as is a good devotion book! And the cover is awesome!! I like puzzles so this sounds intriguing! Thanks for this giveaway. Puzzle House is new to me. It’s new to everyone, Audrey. It just came out yesterday. DK, The Devotion is free today on Amazon. It’s the last day so be sure to go “buy” it.